An Israeli military court on Tuesday extended the detention of Turkish national Ebru Ozkan, 27, who had been under arrest since June 11 for alleged links with terrorist groups, the lawyer said. According to her lawyer Omar Khamaysa, the military court in Salim, northern Israel, decided to extend the detention by six more days despite Israeli prosecutor’s demand for an eight day extension. Ebru was referred from Petah Tikva near Tel Aviv to another prison call Hasharon near Natanya; officials from the Turkish Embassy in Tel Aviv also attended Tuesday's trial, the lawyer said. Israeli forces arrested Ozkan at Ben Gurion Airport in Tel Aviv on June 11 when she was returning to Turkey. According to Khamaysa, Ozkan was arrested on charges of “threatening Israel’s security and having links with terrorist groups” -- allegations she strenuously denies. Ozkan is not the first Turkish citizen to have been recently detained by Israeli authorities. In January, Osman Hazir, a 46-year-old Turkish national, was arrested for snapping a selfie at East Jerusalem’s Al-Aqsa Mosque while holding a Turkish flag. And last December, Israel arrested two other Turks -- Abdullah Kizilirmak and Mehmet Gargili -- after the pair had quarreled with Israeli police who had tried to bar them from entering the flashpoint holy site. 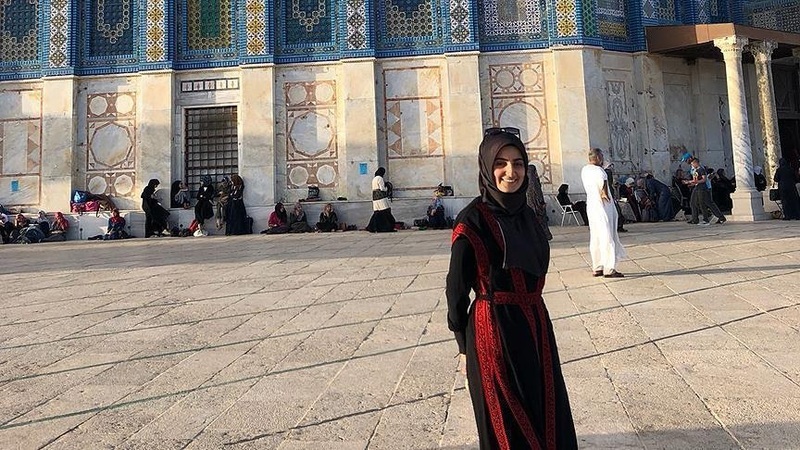 In the same month, Adem Koc, another Turkish national, was arrested inside the Al-Aqsa Mosque compound for allegedly “disturbing the peace and taking part in an illegal demonstration”. Kizilirmak, Gargili and Koc were all subsequently released on bail.